Alt-indie folk duo The Short Fall, have been working on this track for almost five yearsand with the passing of their long time friend and producer, they’re ready to release a fresh, new sound, Under the Clouds. 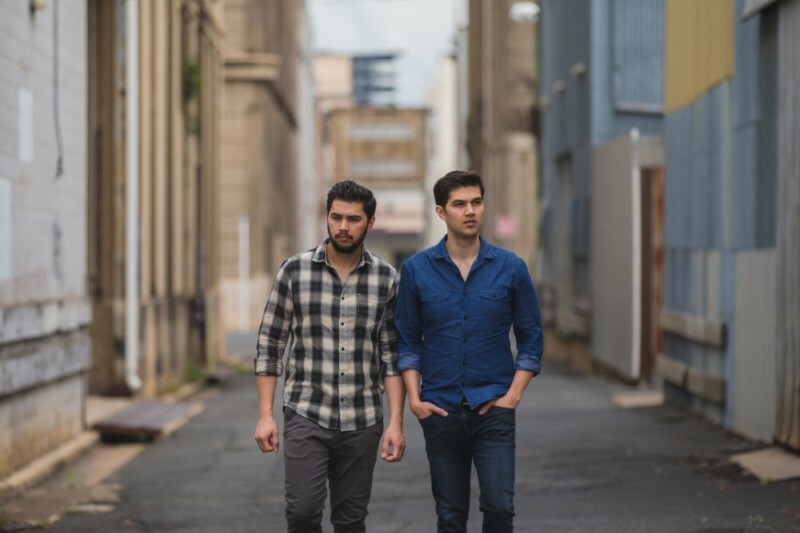 The Conway brothers have been holding this track on the back-burner, having written it for their first EP yet cut the track as it didn’t quite match their earlier sound. Four and a half years later, a total rework and The Short Fall are ready to showcase their fresh, new sound to their awaiting audience. On face value, Under the Clouds is reminiscent of a vague unrequited love story, still with a dark underlying tone twisted within; inspired by The Police’s Every Breath You Take, yet their lyrical ambiguity leaves it up to you to form a meaning of your own from the single. Travelling down to Byron Bay, they worked hard on recreating the track with ARIA Award winning producer Jordan Power – Angus & Julia Stone, Xavier Rudd, Kasey Chambers, The Living End – and marking their first time in studio since the passing of long-termcollaborator, friend and producer Anthony Lycenko in August 2017. “I don’t think we’d stopped to process just how much Anthony’s death had affected usuntil we were driving to Byron Bay. For us it was dipping our toe back in the waterafter quite a long time away from the studio. The experience was quite cathartic; in a way,a piece of Anthony is in this song, as we’d worked on it with him all those years ago when we originally wrote it (it was written for our first EP) so it͛s sort of come full circle,” said Angelo Conway, of the recording process. Even though they’re now living in two different areas of The Sunny State, Angelo and Ryan Conway haven’t let distance get in their way of expressing their like-minded wavelength in song-writing and harmonies. With the time that has passed, The Short Fall have taken on a new vision for their track; taking elements of the past and mixing it with current ideas & sound to createUnder the Clouds. Under the Clouds is set for release Friday, November 2nd! The stellar career of singer songwriter Bob Evans receives the Best Of treatment compliments of new album, Full Circle, released today. Full Circle also features brand new track ‘Drowning’ and is accompanied by a video filmed in studio by Arlo Cook during the recording of the track. 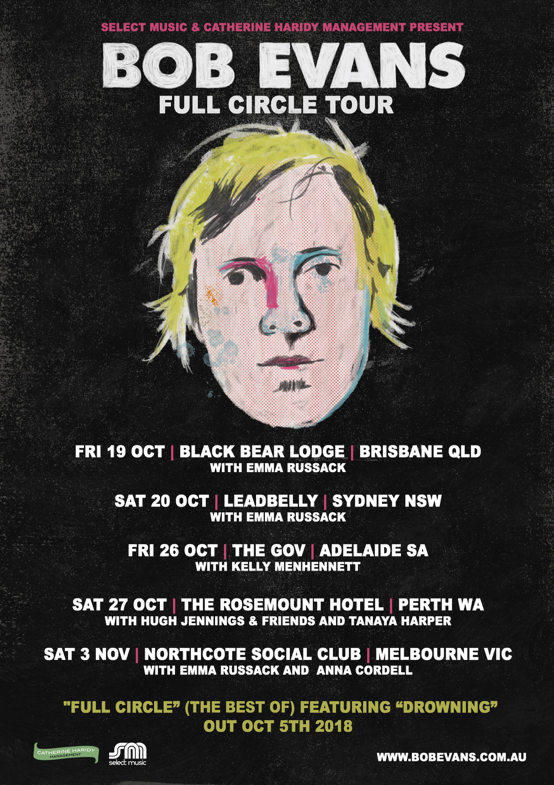 To mark the release, Bob Evans will hit the road for a national capital cities tour kicking off at Black Bear Lodge in Brisbane on October 19, and moving through to Sydney, Adelaide and Perth, before finishing up at Northcote Social Club in Melbourne on November 3. Mitchell was already under the Australian music spotlight as singer/guitarist for indie-rock-darlings Jebediah when in 1998 he found a t-shirt in a Perth op-shop with the number 15 on the back, and the name ‘Bob Evans’ printed on the front. Coincidentally at this time he was embarking on his first solo shows in Perth and a random name on someone’s discarded basketball shirt took hold. He may have grown out of the t-shirt, but the name fit and has stayed for an impressive solo career. Mitchell recently co-founded Music with Mates, forming a new Australian non-for-profit organisation to help young migrants create new friendships by grouping them with locals to attend music concerts for free. The project aims to foster friendships and to help young migrants better integrate themselves into their local community. Tickets will be donated by musicians, agents and promoters. Artists who have already pledged their support for the project include Bob Evans, Josh Pyke, Busby Marou, Clare Bowditch and Paul Dempsey. Hannah Cameron’s voice is that of pure awe. The disarming young alt-folk artist has been carefully crafting delicate refrains to match it for the last few years, growing ever grander with each release. 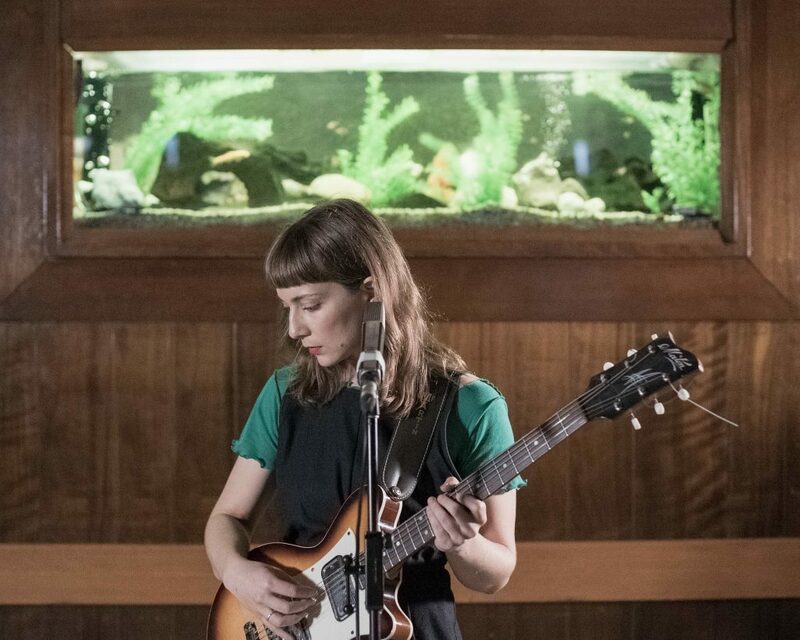 Her latest single ‘What’s It For’ is a striking culmination of this, which has already seen Cameron rally an influx of devoted fans, multiple spins on triple j, inclusions in Spotify’s Deep Dark Indie and Electric Grit playlists, and a recent addition to rotation on Sydney’s FBi Radio. Now, the distinguished singer songwriter is excited to reveal a new live recording of ‘What’s It For’ and announce an east coast album tour just around the corner. Recently lifted from Hannah’s forthcoming album I Lay Where You Lie coming Friday 8 June, ‘What’s It For’ observes the rapidly shifting changes we face amidst the digital age and relishes in the simplicity of times bygone. Shot at the refreshingly obstinate Railway Hotel which hasn’t changed a crumb in the past 45 odd years, this flawless live performance strips ‘What’s It For’ back to its humble scaffolds and finds real strength there. Directed, filmed and edited by Andy Johnson with sound tracked and mixed byJono Steer, the video gives a glimpse into the raw and honest storytelling of Hannah Cameron live. A taste of what’s to come, the video celebrates the announcement of an East Coast album tour taking to Melbourne, Brisbane, Sydney, and regional Victoria, kicking it all off with a pair of shows at Bello Winter Music Festival. Having opened for the likes of Broads, LULUC, Leah Senior, Coda Chroma and more, Hannah Cameron live is an absolute treat, and this is your chance to see her at her finest yet. Do not sleep on it. Heathcote born, Bendigo based, folk artist Mariah McCarthy is one of regional Victoria’s most prized possessions. Since living and performing in the big smoke with her old bandDeer Prudence for a time, Mariah has returned to her neck of the woods a solo artist and is focussing all her energy on launching her own career with gusto. The budding young talent is excited to today to release her debut EP Counting Sheep. To celebrate the release of her debut EP, Mariah performed her song ‘1821’ for Shoelace Sessions in the quiet pool room at the Edinburgh Castle, Brunswick. Mixed & Mastered by Julian Abrahams & Produced by Shoelace Creative. 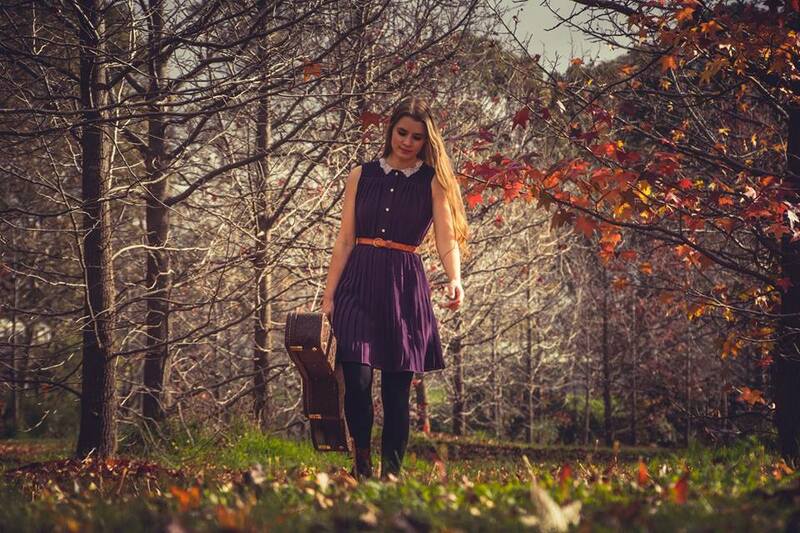 Having made notable festival appearances at Wintermoon Festival (QLD), St Albans Folk Festival (NSW), Yackandandah Folk Festival (VIC) and Majors Creek Festival(NSW) in her time spent in country folk duo Deer Prudence, Mariah is an honest and tender performer, whose captivating live presence captures every ear in the room. Catch the exquisite storytelling of Mariah McCarthy when she launches her debut EPCounting Sheep throughout Victoria during May, June and July.